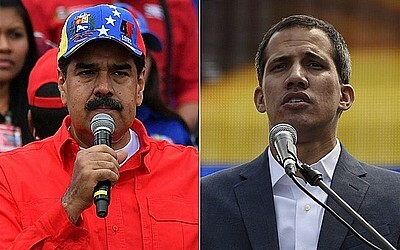 Maduro vs Guaidó: which side are you on? Take a side, they say. Indeed, no, they demand it. Because it’s a duty to do it, otherwise you are an accomplice. Even at a far distance. They say: don’t you see the others? United States first, of course, they’re always first, if it’s necessary, but also Germany, the United Kingdom, Spain and France have publicly clarified which side they are on. Come on, take a stand between the “grim dictator” Nicolás Maduro and the nascent democratically elected star, that is, Juan Guaidó. It’s the world that asks for it, because the fate of the latter depends on who is with whom. It’s urgent to face the Venezuelan question, the invitation cannot be ignored. On the other hand, they will certainly have asked you to do the same with Erdogan's Turkey, whose regime tramples daily on the human rights of its citizens. Take a side, you will have certainly heard it, take a side on North Korea and its dictator Kim Jong-un. Of course, you have already declared your distances from the current government in Poland by the party of Andrzej Duda, accused among other things of promulgating illiberal and dangerous laws from the judicial point of view. Take a side, gosh, as you have already done in relation to the work of Viktor Orban, who has virtually transformed the government of Hungary into an autocratic structure that controls the whole business system. You have already disapproved Putin's leadership in Russia, and Ramzan Kadyrov’s, in Chechnya, implicated in cases of torture and murder. How many times have they already told you to take a side on Gurbanguly Berdimuhamedow, the umpteenth dictator of Turkmenistan and Nursultan Nazarbaev, the so-called "leader of the nation" of Kazakhstan. I am certainly not surprised at the thought of seeing you indignant before the authoritarian drift of Emomali Rahmon, in Tajikistan, and the lack of press freedom in Azerbaijan by Ilham Aliyev. Take a side is a warning that will come incessantly at the bottom of your sensitive ears, on the sham elections of Hun Sen, in Cambodia as the dictatorship of Prayut Chan-o-cha, who has governed Thailand since 2014 thanks to a coup d'etat. I suppose, in fact, I am certain that you have signed hundreds of critical petitions against the government of Hassanal Bolkiah, the sultan of Brunei who reigns over the latter as if it were his own, and shown your heartfelt dissent towards the bloody president of the Philippines, Rodrigo Duterte. Who has not expressed strong condemnation of Theodore Obiang, who started his dictatorial regime in Equatorial Guinea in August 1979, 40 years ago? That is why taking a side on Venezuela is a compelling obligation, both moral and political. Oil is not the main problem, come on, let’s be serious. I mean... it has something to do with that, it always has to do with it, but the population is suffering this situation, right? And when the peoples of the world suffer this kind of situation, the countries and the responsible citizens take a side.